The Hotel Horizon is classy and extravagant to the very core. Majestic appearance, elegant interiors, luxurious furnishing and warm service, everything that makes the hotel a comfortable place to be at Intelligently positioned, the hotel has a tranquil setting and offers the convenience of being centrally located. With a wide range of rooms, the hotel has a lot more to offer to its guests. Each room comes fitted with the best of amenities and facilities, with breathtaking views of the city's eternal beauty from the roof top gallery. The round-the-clock room service ensures that guests are perfectly comfortable and feel well-cared. Airport Transportation, Safe Deposit Box-Front Desk, Doorman, Complimentary Newspapers in Lobby, Recreation, Security Guard, Courier Service, Travel Counter, Major Credit Cards Accepted, Currency Exchange. H/C Water, Smoking Rooms, Basic Bathroom Amenities, Mineral Water, Cable/Satellite TV, House Keeping, Complimentary Newspaper, Complimentary Toiletries, Window Opens, Television Room. Room Service, Parking, Laundry Facilities, Doctor on Call, Breakfast Services, Beauty Services, Banquet Facilities. 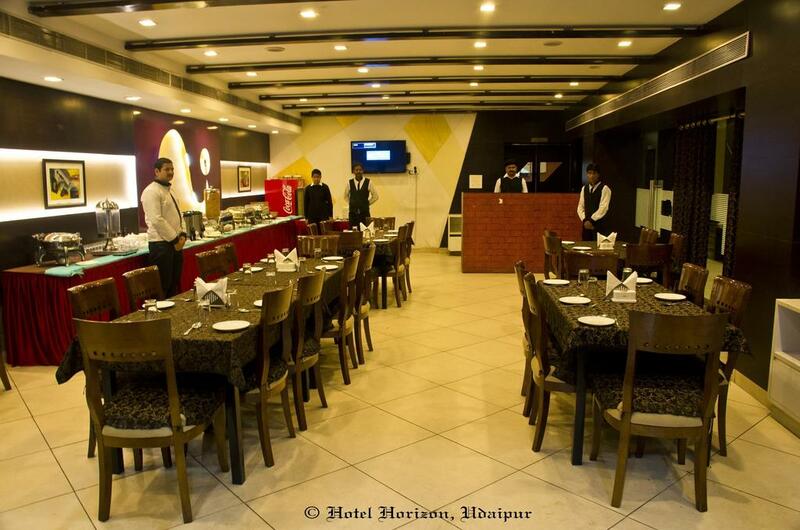 User reviews for "Horizon Hotel Udaipur"